Research Professor of Sociology, University of Sydney, Australia and Research Associate Director at the International Migration Institute (IMI), University of Oxford, UK. He is a sociologist and political economist, and currently works on migration and development, effects of migration on both origin and destination countries, transnationalism, and social transformation and human mobility at a global level. 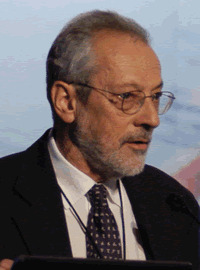 From 2001-2006, he was Director of the Refugee Studies Centre at Oxford University, and from 2006 to 2009 founding Director of IMI. Stephen Castles studied sociology at Frankfurt am Main, and took an MA and DPhil at the University of Sussex. He has carried out research on migration and multicultural societies in Europe, Australia and Asia for many years. He has also been involved in community education work in the UK and Southern Africa. Castles taught Sociology and Political Economy at the Fachhochschule Frankfurt am Main from 1972-85. From 1986 to 2000 he was Professor of Sociology and Director of the Centre for Multicultural Studies (1986-96) and then Director of the Centre for Asia Pacific Social Transformation Studies, at the University of Wollongong, Australia. From 1994 to 2001, Castles helped establish and coordinate the UNESCO-MOST Asia Pacific Migration Research Network. He has been an advisor to the Australian and British Governments, and has worked for the ILO, the IOM, the European Union and other international bodies. Stephen Castles's recent books include: The Age of Migration: International Population Movements in the Modern World (Fifth Edition, with Hein de Haas (Oxford University) and Mark Miller (University of Delaware), Basingstoke, Palgrave-Macmillan, 2014); Migration, Citizenship and the European Welfare State: A European Dilemma(with Carl-Ulrik Schierup and Peo Hansen, Oxford: Oxford University Press, 2006); and Migration and Development: Perspectives from the South (edited with Raúl Delgado Wise, Geneva: International Organization for Migration, 2008).